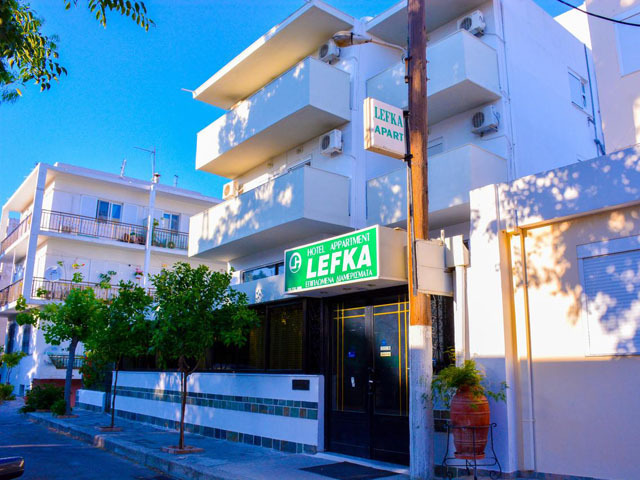 Lefka Hotel & Apartments is quietly located in a garden, just 500 m from Zefyros Beach, the Old Town of Rhodes and the port. It features self-catered units, a bar and billiards. Free Wi-Fi is available in all areas. 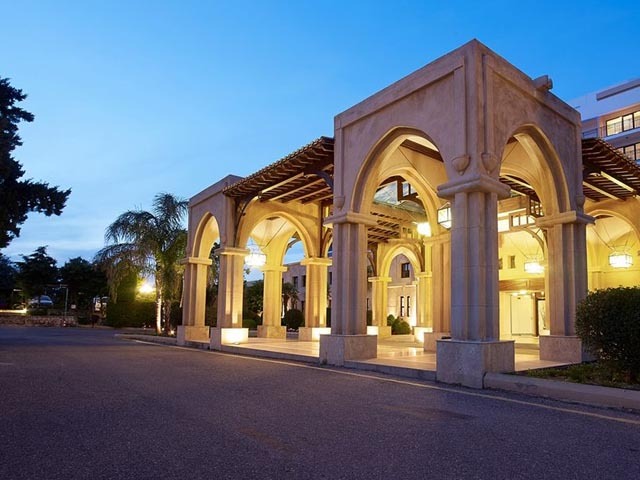 All studios are air-conditioned and open out to a balcony facing the property’s garden. Each has a TV and a kitchenette with a fridge, cooking hobs and coffee maker. Guests will find taverns, bars and a supermarket, as well as the Palace of the Grand Master within a 10-minute walk from Lefka. Diagoras International Airport is at 17 km. Free parking is possible on site. The main road parallel to our street is called Kanada street. In 50 meters from our hotel you can find a fully equipped super market. Turning right on Kanada street and walking 5 minutes and you get to the harbor, right for ferries, left for cruise ships and ships from/to Turkey. On your left you will see the gorgeous old towns walls, a world heritage monument by UNESCO. You can get in the city from many entrances around the walls. The main entrance is from the port side, theres also a taxi station there. Inside the walls the main street is Socrates street with many shops. Extra tip walk through the shops and at the end of socrates street turn right to visit The Palace of the Grand Master of the Knights of Rhodes. Walking around the walls and following the coast you will get to the modern city of Rhodos. Coffee shops, restaurants, fast foods, bars, shops you can find everything there. Also there is a taxi station and two bus stations on two sides of local market called “nea agora”, the one is for the city buses and the other for islands bus lines. 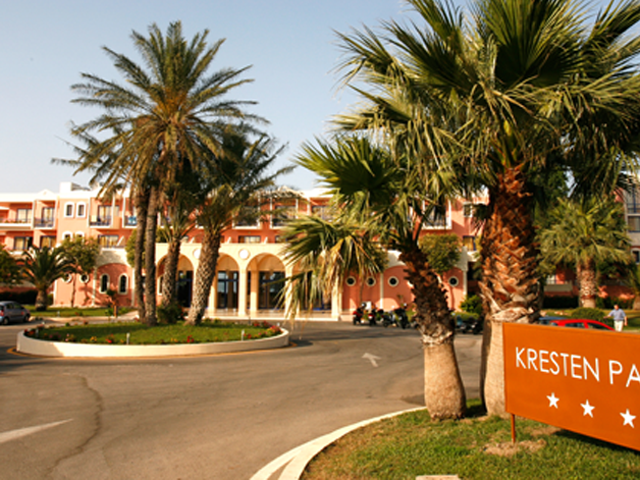 You can get to Lefka by picking the bus to St. Nicolas square, 5 minutes walk. Bed Options: 2 twin or1 full. This studio features a balcony, electric kettle and soundproofing. Snacks are provided. Offering two separate bedrooms with iron beds, this spacious, air-conditioned apartment has a fully equipped kitchen with a stove. It opens out to balcony with a view to the garden. A TV is also offered. Snacks are provided.